Yahoo is paying up for the dream of a chief executive sprinkling stardust. After churning through several CEOs in quick succession, it’s easy to see why Google hotshot Marissa Mayer snagged a $70 million pay deal from the fading internet search firm. But as J.C. Penney with its ex-Apple boss shows, there are no quick fixes. The motivations of Mayer and Yahoo are easy enough to discern. Mayer was the 20th employee at Google, in charge of several of its most important businesses, and a natural candidate for chief executive. But that path was blocked by co-founder Larry Page. Now she will have the chance to be a CEO and to make her mark at the fourth biggest site on the Internet. At 37, Mayer is also young enough – and Yahoo sufficiently troubled – that if she fails to reinvigorate the company she will surely get more chances. Yet it’s still a risky enough job that she could ask for a lot of money. And Yahoo is presumably willing to pay up for an accomplished executive with immediately applicable experience and Silicon Valley celebrity. Moreover, Mayer has to stick around for five years to get all the pieces of her welcome package. 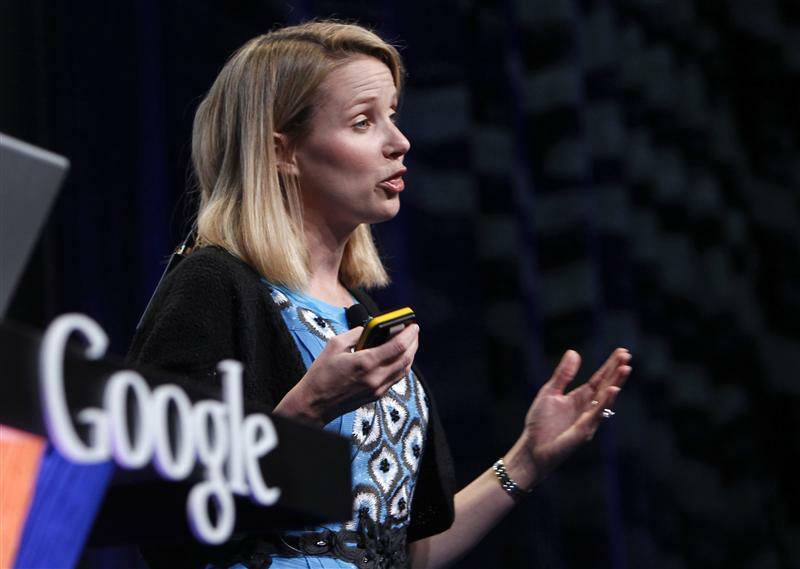 Her arrival may engender fresh optimism at Yahoo. And if she proves a competent leader, a turnaround could boost the company’s shares on a scale that makes her pay look like peanuts. The stock trades at nearly a 30 percent discount to its value based on the sum of the company’s parts, according to Bernstein Research. If her credibility and management skills close that gap, shareholders could benefit to the tune of more than $7 billion. That isn’t so easy, though, with a company that has for years been losing both market share in search and its innovative edge. In a different industry, the early struggles of J.C. Penney CEO Ron Johnson are instructive. The dowdy department store chain lured Apple’s retailing wizard away late last year with a pay package valued at $53 million. The injection of flair sent the company’s stock up 17 percent the day the hire was revealed. But it has subsequently lost 40 percent of its value. Johnson’s decisions to cut discounts and redesign stores have led to a dip in sales and big losses. Johnson’s medicine may eventually yield a cure. But the lesson for Yahoo is that a star CEO is no magic drug – especially not in the short term. Yahoo on July 19 released details of the pay package it awarded new Chief Executive Marissa Mayer. She will receive $1 million in salary and up to $2 million in bonus annually. She will also receive $42 million in options and restricted stock, as well as $14 million to compensate her for the loss of compensation from leaving former employer Google. The package vests in increments, parts over three years and parts over five years. Mayer was the head of local, maps, and location services at Google, and previously the head of search. She was Google’s 20th employee.